The Resort offers 2 types of suites*. ~ Premium suites have a glass front door, giving it a more home appeal. ~ Basic suites have a barred front door. * All pets receive the same level of care. The suites are 100% indoors for climate control and constant supervision. Solid walls divide each suite. Food and water dishes are up off the ground. Beds, blankets, and toys from home are always welcome! ~ We also recommend bringing an unwashed tshirt or blanket with a parent’s scent still on it.. When choosing items from home to bring for your pet, keep in mind that it may be damaged or destroyed. Pets are individually walked several times throughout the day and a bedtime walk in the evening. ~ We monitor each pet for signs of diarrhea, dehydration, etc. Pets are fed according to the schedule you provide. We monitor food and water consumption. ~ We ask that you put dry food in ziploc baggies and divided into individual meals. ~ We ask that wet (canned) food is labeled with your pet’s name and a can cover provided, if needed. We administer scheduled medications, including insulin injections, oral medications, eye/ear drops, etc. ~ A $5/day medication administration applies. All pets receive individual attention and wellness checks daily. * At this time, we do NOT have a Doggie Daycare program that would allow groups of dogs to play together. Medical Care: Pet parents sign a Resort Release giving permission to seek medical care, should their pet develop a medical issue during their stay. 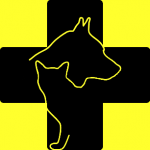 We will attempt to contact you before one of the Clinic veterinarians examines your pet, however some issues must be treated immediately to avoid a more severe condition from developing. Parents will be responsible for any additional charges incurred. In addition to the superior level of care each pet receives while staying at the Resort, we follow strict cleaning measures before, during, and after your pet’s stay. 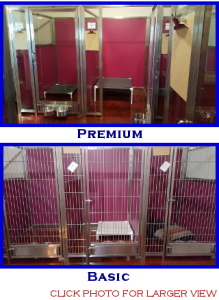 ~ Each suite is disinfected from top to bottom between pets. — Suites are disinfected as needed during a pet’s stay. ~ Food and water bowls are changed out and disinfected daily. — Pets that eat wet food will have their bowls changed out after each meal. ~ Bedding provided by the Resort is changed out and washed every other day, unless needed more often.